I know I’m back in New York by the sounds. This morning I heard in no particular order a garbage truck, jack hammer, saw, helicopter, airplane, car horn and siren. 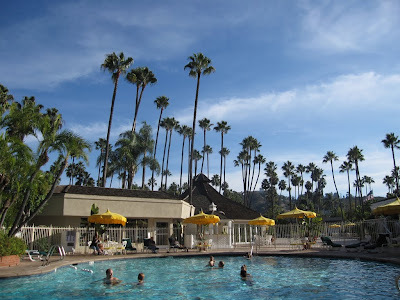 In San Diego, home of the World Fantasy Convention, my mornings were filled with the sounds of trickling fountains, buzzing hummingbirds, and a delicate wind. The Town and Country resort was set up like a maze. You literally had to walk through various gardens and gates, around pools and through courtyards to get anywhere. It was beautiful and bewildering, and Kit Reed suggested the place was meant to keep us happy and compliant, like the town in the Prisoner. As a garbage truck idles outside my window and the men haul bags of clanking bottles into it I’m starting to think that wouldn’t be half bad. Too much happens at a con to summarize easily. So I’ll try to summarize my thoughts before they all fade into a blur. I met Charles Tan in person, who was flown to the U.S. all the way from the Philippines based on a fund that Lavie Tidhar set up. We were all strangely enough nominated for a World Fantasy Award in the same category (Special Award, Non-Professional), but the award went to Alisa Krasnostein for her work with Twelfth Planet Press. Yeah, I’m not going to lie, it would have been cool to win, but I really wasn’t expecting too, and I was happy to see Alisa go home with the Lovecraft bust. Charles is also twice as nice in person as he is online. On Friday night I had dinner with Kit and Joe Reed and Jeff Ford and a few of Jeff’s former Clarion classmates. (One was Rebecca Rowe and forgive me but I can’t recall the other’s name.) Kit was her usual charming self and Jeff was awesome as usual. When I told Jeff he and I had a reading at the same time and I was sad to miss his, he graciously offered to merge our readings into one. Jeff is one of my favorite writers, so this was pretty damn awesome. Turns out we both are in Ellen Datlow and Terri Windling’s After anthology, so we both read our stories from that. Jeff’s piece was about a high school where all the kids pack guns and wear them as accessories. It was amazing as usual. The parties are kind of a blur, but highlights for me include hanging out with the Canadian ChiZine Press crew, Brett Savory and Helen Marshall, and Robert Shearman of the UK who wrote the Doctor Who episode “Dalek.” I don’t think I’ve laughed that hard in years. Had a lovely chat with Leanne Renee Hieber, spoke politics and future WFCs with Jetse de Vries, awards with Gordon Van Gelder, and economics with Rani Graff from Israel. Also lots of fun hanging out with the Australian crew, who may perhaps be the snarkiest people on the planet (I like snark.) Friday night we were on the lawn chairs at 3 a.m. talking Australian football with DoSelle when the security guard shut us down. Saturday, N.K. 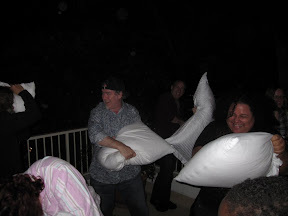 Jemisin threw her pajama party, where there was Twister, sippy-cups, the game Operation. I got to see Ellen Datlow playing Hungry Hungry Hippo like it was nobody’s business. I wore my PJs, but just for a little while. World Fantasy has never been keen on costumes. I also did a reading for JoSelle Vanderhooft’s Steam-Powered series. A little more intimate than a conference room, we staged the reading in one of the suites, and I got to hear a lot of young, talented writers, like C.S.E. Cooney read excerpts of their stories. I read the beginning of my piece “The Hands That Feed.” Also got to spend some time talking novels with JoSelle and Eric Vogt, who both are working on novels where the gender disparity is much greater than our 51/49. The ideas were so cool, I smelled a James Tiptree award on the breeze. What else? As you can tell, I haven’t been talking too much about the panels. I didn’t go to many. Devin Poore sat on a panel with Harry Turtledove about ships and sailing in speculative fiction, and it was cool (and frightening) to hear stories of some of the panelists describing the sensation of being lost in fog, or watching bioluminescent creatures approaching. Devin’s Navy experience, as well as the other panelist’s varied and knowledgeable backgrounds made the panel a highlight. I also got to see Genevieve Valentine, Alaya Dawn Johnson, Mercurio D. Rivera and Rajan Khanna read. 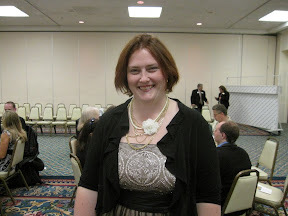 At the awards banquet I got to sit next to the fabulous and fabulously dressed Kate Baker, where we talked Sybil’s Garage and novel writing as her glittery dress dropped sparkly powder over everything she touched. We said the dust were tiny dead fairies. Connie Willis gave a hilarious toast, and Neil Gaiman was his usual charming and audience-flattering self. And, no, as I said, I didn’t win. I was rooting for Mercurio and Nora too, but alas they didn’t win either. Still, I was happy just to see my friends nominated, to see their hard work recognized, and I’m really happy for the winners too. 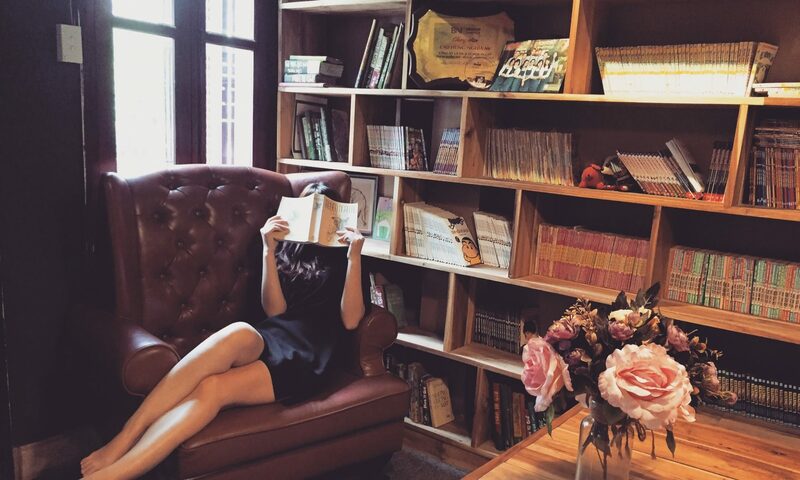 There’s always next year, and the most important thing to take home from any con is the desire to keep doing what we love: reading and writing. And that, despite the New York noise, I did. Off to the World Fantasy Convention tomorrow. I have a reading at 1:30pm on Saturday. A pajama/sleepover party to celebrate Nora Jemisin’s new book, and the Awards Banquet on Sunday where I’m up for a World Fantasy Award in the category of Special Award, Non-Professional. It should be a fun weekend, and I’m looking forward to seeing everyone again real soon! Shut up before your god! In the Book of Job, the titular Job suffers all sorts of maladies, boils, burning, utter agony, the loss of loved ones. He cries out to God, “Why? I have been a good man all my life.” For the next several hundred lines or so in beautiful, timeless prose, Job’s friends try to convince him of the superiority of God’s ways, and though God’s ways are hidden from humanity, Job should just accept his fate. It’s all part of God’ plan. But Job is not one to roll over easily. It takes the presence of God himself to cow him down into submission. Many people take this to mean that Job finally accepts God as the ultimate power, and that Job ultimately rediscovers his fate. But Carl Jung in his book Answer to Job, believes differently. Jung posits that God is just a schoolyard bully, who says to Job, “Obey me, otherwise I’ll cause you more suffering! After all, I created the mountains and the sky!” Job finds his faith only for fear of God’s terrible wrath, which Jung says isn’t faith at all because it’s not based on a choice. A half-century after Jung’s thesis came the film Blade Runner, with its band of replicant humans seeking more life. And it occurred to me this morning that Roy Batty, the leader of the replicants, can be thought of as Job. He has been created by a force he doesn’t understand (he is essentially a cloned soldier). He has to suffer unfairly (replicants die after only four years) and watches his loved ones die, one by one. But instead of waiting for God to come to him in a whirlwind, Roy goes to his God, the CEO of the Tyrell corporation, Dr. Eldon Tyrell. “It’s not an easy thing to meet your maker,” Roy says to Tryell in his gigantic bedroom. Roy complains to his maker. I am half-made. You did not give me a chance to flourish. The platitude is not enough for Roy, who finally understands that he has transcended his God. 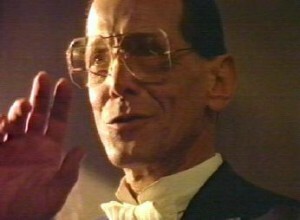 He has become “more than human.” He kisses Tyrell, then kills him by crushing his head. And what is this, but Job’s story with a twist? Instead of falling to his knees, Roy confronts his God and wins. I think that’s why the story of the replicants in Blade Runner is so powerful. Without consciously realizing it (or perhaps scriptwriters Hampton Francher and David Peoples did know) they were retelling a biblical tale. In a college course on Western Philosophy and Culture, the instructor, a man of forty plus years proceeded to tell the class, when it was time to study Judaism, that the Hebrew peoples of history “offered no great works of art or literature,” except, of course, the Old Testament. He then went on to explain this was because the prohibition against “graven images” (art can be considered a type of graven image). At the time I was too shy and too naive of my own culture to respond , but I knew how stupid a thing to say that was. In his mind, were all Jews wrapped in their teffilin and wailing in synagogue? I said as much in my final paper, pointing out his fallacious assumptions, unable to hold back my anger, and even though I was in danger of failing the class, he gave me a B. I like to think it’s because of what I wrote. But it has always bothered me that I was unable to think of any great Jewish artist(s) or art at the time, so I could have called him out on his foolishness. It’s hard to see here in this reduced-size image, but this is a penned image of Karl Marx assembled from the text of the Yiddish translation of the Communist Manifesto. 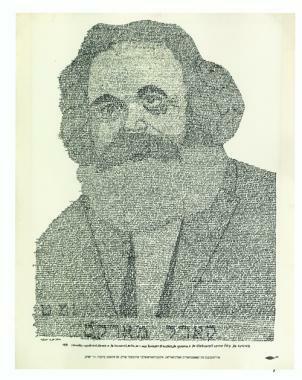 Tiny Yiddish words in alternating light and dark strokes creates the likeness of Marx. It reminded me a bit of ASCII art. I’m not sure I’d want the likeness of Marx hanging on my wall (I much prefer nature scenes! ), but I think this type of art is wonderful!